Who knew that some plastic bags and fellowship could lead to a church serving its community by providing beds for the homeless? 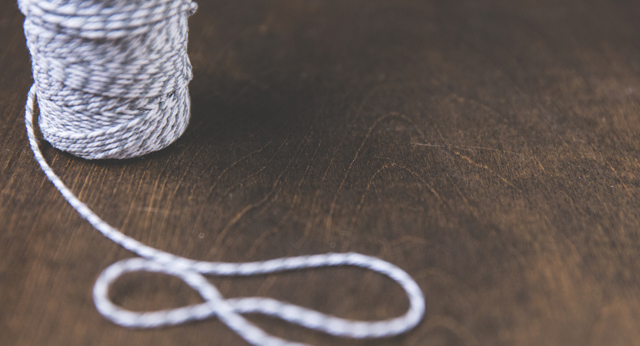 At Meyersdale Grace Brethren Church (MGBC), a Charis Fellowship congregation in Pennsylvania (Randy Haulk, pastor), people of all ages have gathered together to create plastic yarn (plarn) that they can use to create mats for the homeless. These mats will be distributed around Philadelphia, to replace the uncomfortable cardboard beds many homeless use. Tess Schafer, youth pastor Aaron Schafer’s wife, was introduced to the idea on her way to a national youth worker retreat last spring when they saw one such mat. Her aunt encouraged her and helped her with some instructions, and the next thing you know, Tess had MGBC’s youth ministry collecting plastic bags for the project. The project is not very complicated, but having so many parts to the process, and with each mat taking up to 40 hours to crochet, this project can bring many different people together. 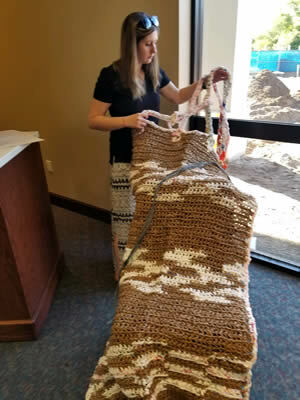 “The ladies that crochet our bags are generally older and probably don’t feel comfortable going to downtown Philly to distribute them, but they can know that what they are doing is helping someone,” says Tess. The women at MGBC who crochet the bag mats, affectionately known as the “bag ladies,” decided to start a Thursday night get-together, where they enjoy fellowship, crochet bags, and pray for the recipients of those mats. MGBC has had ages 8 to 88 working on this project, enjoying fellowship throughout the process. It’s easy once you get the hang of it. “I love that we are recycling something that literally everyone has into something that some people may desperately need,” Tess shares. What can your congregation learn by providing these mats to your community? It may be getting all ages together, furthering the unity of the Church. Or, it could be a personal lesson like it was for Tess. [Connect:] To learn more about how to crochet bag mats, or to send a note of encouragement to Tess, click here.